We have a new sponsor here at Little LDS Ideas that I would like to introduce you to. The 25 Days of Christ project is part of the New Tradition Crafts company. New Tradition Craft company is a family owned business operated by the Oliver family. A few years ago Kati Oliver realized that she wanted Christmas to be more than ‘getting’. She wanted it to be about traditions, giving, and most importantly she wanted it to be about Christ. The holiday season is quickly approaching, you may be thinking of new traditions or thinking of ways to center your Christmas around Christ. 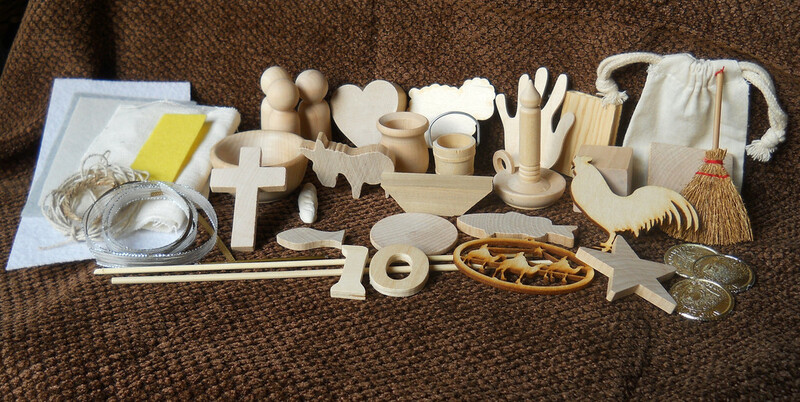 · Simple materials, instructions and examples to assemble 25 ornaments that correspond with the daily readings. · A sturdy box for storing completed ornament, book and gift box so you can enjoy this tradition for years to come. I love this idea. My children love hanging ornaments on the tree, so I can only imagine the excitement of opening a new ornament each night. And I love that it’s focused around Christ. Visit The 25 Days of Christmas to order your very own kit or to read more about it. And during the month of October you can receive a ‘Pre-season Price’ of $27.00 for your kit. Or get a few friends to order with you and save by ordering a 5-pack Ornament Kit. Then get together for a Girls Night In and put your kits together. Thank you Kati for this wonderful tradition, and for sharing with everyone.